Margarita is about 4 years old and her son Nacho is about 2 years old. 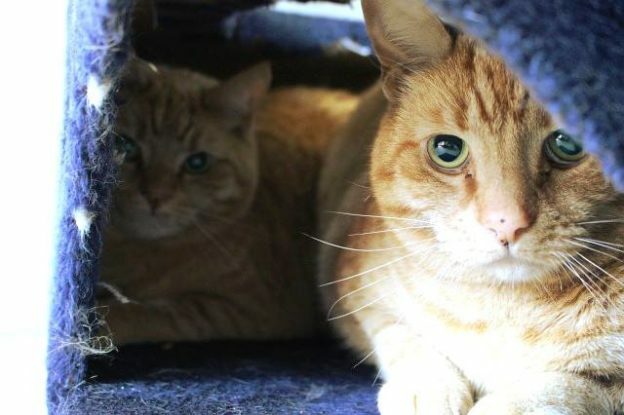 They have come into CPL care because they were not getting along with the other cats in their home. Margarita and Nacho will be friendly once settled but at the moment they are finding the cattery rather overwhelming. They will suit a quiet adult home where they are the only pets, and a patient new owner who is happy to help them find their confidence. As they are closely bonded we would like them to be adopted as a pair.